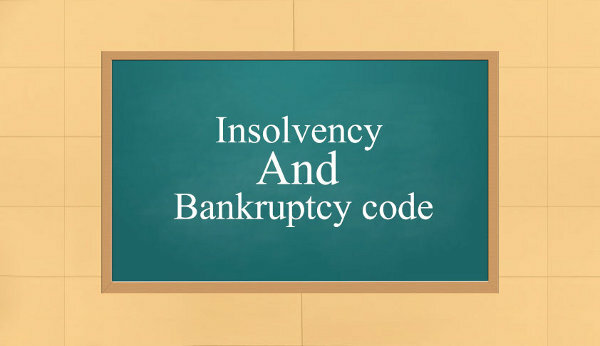 In 2016, a new bankruptcy law called the Insolvency And Bankruptcy Code was enacted in India. The main objective behind implementing the new regulation was to simplify and organize the existing insolvency resolution framework of the country. Prior to the enactment of the law, insolvency and bankruptcy in India were governed by multiple regulations. This created a complicated situation with multiple agencies involved in the process. It also resulted in a huge number of pending cases causing serious financial losses to creditors. 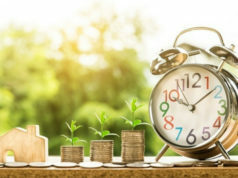 There is a provision in the code to resolve issues in a time-bound manner so that lenders can recover their money and exit a business in a timely manner. In this article, we are providing useful information about the new law. Why Was The New Law Needed? These are just a few of the many laws which were used to deal with bankruptcy cases in the country. This led to a confusing scenario where multiple agencies like the Company Law Board, the Board for industrial and financial reconstruction (BIFR) along with courts of law getting involved in the resolution process. More often than not, the earlier framework to deal with insolvency instead of resolving an issue only added to the list of pending court cases. With no concrete steps taken to reform the process, the situation went from bad to worse. Creditors like banks and other financial institutions saw an increase in their stressed assets as a significant amount of money was stuck in litigations. This forced the government to consolidate the existing regulations into a single code and create a mechanism for resolving cases in a fixed time period. 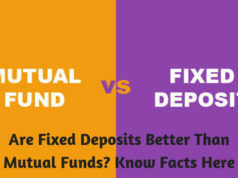 The new law is a big relief measure for creditors and especially for the country’s banking sector which is suffering from the serious problem of Non-Performing Assets (NPAs). What Are The Important Features Of The Code? 1. The new law can be invoked to resolve the insolvency or bankruptcy of individuals, companies, Limited Liability Partnerships (LLPs) and partnership firms. 2. All types of creditors including trade creditors, employees, regulatory bodies as well as secured and unsecured lenders can use the law in case a valid claim is not fulfilled by a debtor. 3. The National Company Law Tribunal (NCLT) has been designated as the adjudicating authority for handling matters related to companies and LLPs. Anyone wishing to appeal against an NCLT order will have to move the National Company Law Appellate Tribunal. The Supreme Court of India will have to be approached in case an entity is not happy with the NCLAT order. 4. The Debt Recovery Tribunal (DRT) is the adjudicating authority for resolving insolvency cases of individuals and other entities. Appeals against DRT orders have to be first made before the Debt Recovery Appellate Tribunal and after that to the Supreme Court of India. 5. After the adjudicating authority accepts the appeal made by a creditor for starting the resolution proceedings, an insolvency resolution professional (IP) is appointed. 6. A committee of creditors (CoC) is created which acting through the IP gets to enjoy all the powers of the board of directors and promoters. 7. The IP takes the decision of either reviving or liquidating the entity. In the case of revival, a willing buyer has to be located. The lenders also have to agree to reduce the debt. This reduction in debt is referred to as a “haircut”. 8. The Insolvency and Bankruptcy Board of India (IBBI) created under the Insolvency and Bankruptcy Code is the regulatory authority which oversees all the processes. It also monitors the appointment of insolvency professionals, agencies, and information utilities. The board is headed by a chairperson and has representatives from the finance ministry, ministry of corporate affairs, law ministry, and the Reserve Bank of India. 9. Individuals wishing to work as insolvency resolution professionals (IPs) have to clear the Limited Insolvency Examination conducted by the IBBI before enrolling with an insolvency professional agency. Chartered accountants, company secretaries and cost accountants with 10-year work experience are eligible for registration while those with management qualifications require 15-years experience for the same. People without any experience need to clear the Graduate Insolvency Programme, which will be introduced by the IBBI shortly. 10. The new law has directed the formation of information utilities which will collect, authenticate, and store information about debtors in electronic databases. 11. The complete evaluation of an insolvency claim has to be completed within 180 days. This period can be extended by a maximum of 90 days. In case, no resolution has been agreed within the specified time limit, the code directs the compulsory liquidation of corporate debtors. 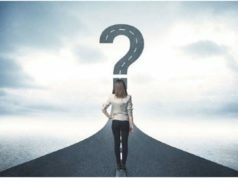 What Are The Conditions For Initiating Insolvency Resolution Procedure? In case of a default of at least Rs 100,000, the corporate insolvency resolution process can be initiated by financial or operational creditors as well as corporate debtors. For individuals and other entities, the minimum default amount which can trigger insolvency proceedings is Rs 1000. The Insolvency And Bankruptcy Code is still a work in progress as the government has not yet notified all the regulations. Anyone looking for assistance on the matter must contact bankruptcy law lawyers to get comprehensive guidance. Next articleHow the Doorstep Loans Add More Convenience with No Credit Check? Amy Jones has been serving as an experienced legal expert in Ahlawat & Associates, who is related to insolvency and bankruptcy code. She is a passionate writer and always on the lookout for opportunities for sharing her knowledge with legal community. Follow her company on various social media networks like: Twitter, Facebook and LinkedIn.